We’re proud to offer the Batt Latch product, the world’s only portable solor-powered, automatic gate release timer. Pre-programmed by the farmer, it can be used on any gate system and is particullarly suited to livestock owners with feed pads, feed breaks or supplementary feeding areas. 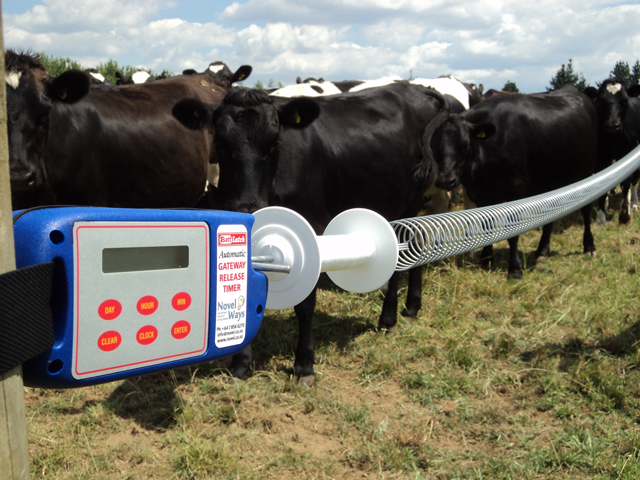 • Reduces time & labor, lameness and herd stress, plugging, petrol and running costs. • Releases the herd/animal to the feed pad or break area at any hour of the day or night. • Also used for remote applications on runoffs, split herd timing and holding back the herd. • Rugged, dependable and simple to use and can be in corporated into all livestock operations.